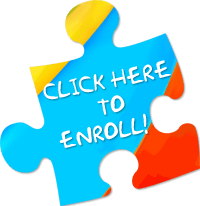 Autism Academy for Education and Development specializes in providing education to students with autism, Kindergarten to 12th grade. Low teaching staff to student ratios are maintained to maximize individual attention as well as address the needs of each student. At AAED, your child will learn academic content along with Music, Art, PE, Life Skills, and Technology. Students are engaged with hands-on teachers who provide a multi-sensory approach to learning and real-world experiences. All instruction is presented in an atmosphere designed for learning, acceptance of others, compassion, and encouragement. Students receive differentiated instruction in math, science, language arts, history and social sciences, the arts and physical education. Instruction is provided through a variety of modalities and according to the needs of the students by utilizing specific materials or programs to improve competence in those areas. The general curriculum is aligned with the state educational standards and modified to the individual student according to their needs. Instruction is delivered individually, in small groups and in class groupings. Our Daily Skills Program gives students the tools and training they need to function with the greatest possible productivity and independence in the community, home, and workplace. Fundamental skills such as sequencing, following directions, meal preparation, household tasks, laundry skills are practiced. Our High School program is fully accredited and follows the graduation requirements of ADE. We prepare students for a range of post-secondary opportunities, whether they earn a full high school diploma or a certificate of completion. Students may utilize options from a variety of pathways by attending core classes as well as exploring areas of interest including but not limited to robotics, coding, cooking, theater, and marketing. Each pathway has specific courses and work-based learning requirements designed to provide the opportunity for each student to reach their greatest potential for success upon leaving AAED. 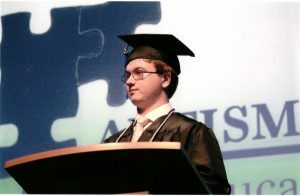 Academic: Students are academically able to complete coursework that follows Arizona High School graduation standards. Students in the academic pathway are prepared to move to a post-secondary educational placement such as college or technical school. Vocational: Students are academically below grade level, but coursework follows Arizona High School graduation standards at a modified level. Students in the vocational pathway are prepared to move to a post-secondary placement that is more work-based with on the job training and support. They may choose to stay beyond the typical four years of high school. Functional Vocational: Students are academically well below grade level and need a hands-on daily skills / life skills focus. Students in the functional vocational pathway are prepared to move to a post-secondary placement that has supported on the job training and supported employment. They typically choose to stay beyond the typical four years of high school. Essential Skills: Students have minimal academic ability. The program focus is independence to maximum ability with daily living. Students will stay for maximum amount of time, aging out when they turn 22 years old. The majority of our High School students also participate in career exploration and preparation. Some students participate in community job training that is focused on developing independent work behaviors and increasing post-secondary school opportunities. Other students take part in on-campus job training opportunities that can include delivery, clerical/ business, domestic / housekeeping, culinary / hospitality, retail / warehouse, horticulture / landscaping, and technology. Skills practiced include performing job tasks independently, working in a group setting with reduced supervision, accepting direction from supervisor, soliciting help appropriately and maintaining appropriate behavior.